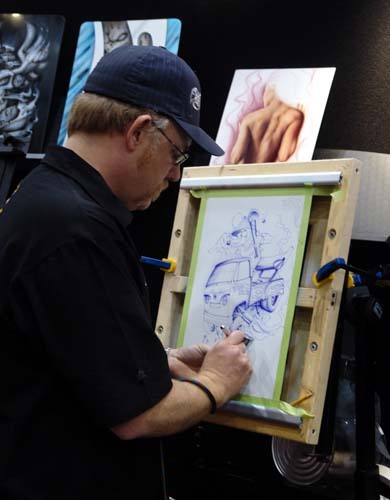 Candid shot of Craig working on a panel in the HoK booth. How can you tell it is candid? Because he is not mugging for the camera!.